In 2016-2020 a unique car journey across the world will take place. 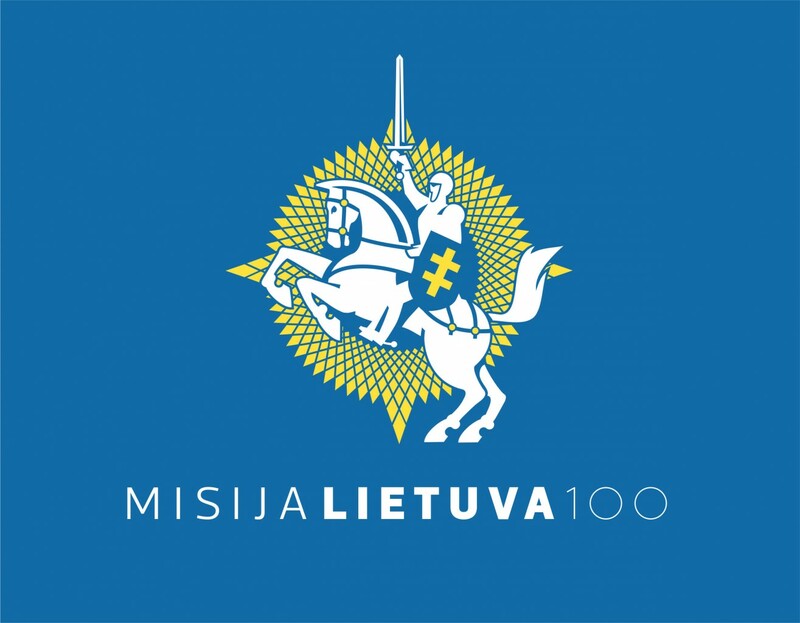 As the 100th birthday of the Lithuanian Republic draws near, we are preparing a special present – an unprecedented 3-year long trek across the world, the celebratory project “Mission Lithuania 100”. During the journey we will visit 100 countries, drive 200,000 kilometers, and 40,000 of them – a symbolic distance, the circumference of Earth at the equator – on difficult paths and off-road. The journey’s route circles the Baltic sea, crosses the Caucasus, Pamir, and Tian Shan mountains, the boundless North American planes, Gobi, Atacama, Namib, and Australian deserts, Amazonian rainforests, Andes, the stark Russian tundra, Bering Strait, rivers of Alaska, and lots of other places. The first leg of the trek – expedition “Baltoscandia 2016” – which will takes around the Baltic Sea – across Scandinavia and the Baltics, is launching very soon – end of July 2016. Be sure to check out the expedition’s route. The name “Mission Lithuania 100” rises from our missionary experience, which taught us that a mission can be a vehicle for spreading ideas about the Lithuanian identity and belief in the future of Lithuania. A mission is an honourable and positive dialogue. A mission is a peaceful way to spreading light and truth. 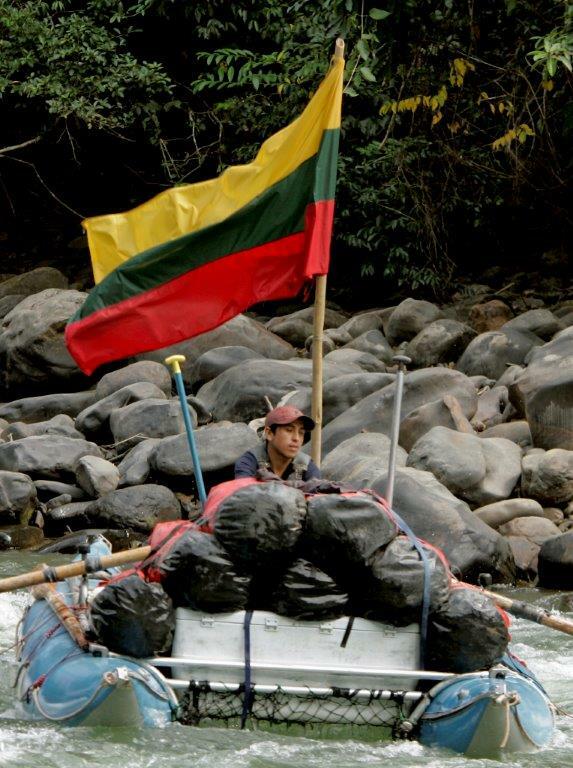 We see this trek as a mission spreading the idea of the Lithuania of the World. We had high demands of the brand – showing the moral character of the journey. The ideas of the Lithuania of the World, Lithuanian diaspora, journey over the world, and spreading peace and light had to be reflected. The theme of Lithuania’s historic coat of arms – Vytis – was chosen for the brand. Vytis has been with our nation, accompanying us in our lives and exploits, for seven hundred years. It is one of the oldest coats of arms in the world. Vytis is a knight of light, rising to battle darkness. It symbolizes the triumph of peace and companionship, it is a sign of strong and positive leadership. It is a symbol that is still very necessary in today’s world. There are quite a few variations of Vytis, but we chose to make our own. It is a Vytis with a sword held upright – a Vytis claiming victory. The high held sword speaks of trust in good and peace. And it also points North, from where we come and from where we journey over the world. The crown shining in the background is the Lithuanian Sun. This pattern, composed of a hundred different fragments, symbolizes the wide-spread Lithuanian diaspora. And its four pinnacles are the four cardinal points, the four directions we will be traveling: the northernmost point of the journey – Nord Cape in Norway, easternmost – Uelen settlement in the far Russian East, westernmost – Wales in Alaska, and the southernmost – Punta Arenas in Chile. The goal of “Mission Lithuania 100” can be described in three words: celebrate, educate, learn. Celebrate – to rejoice in freedom and offer a unique trek for the Lithuanian century – the grandest, longest and most difficult journey of the Wanderers Club. Educate – to draw together Lithuania of the World for joint creativity and conscious living. To make Lithuania’s name known, and to proclaim peace and companionship across the wide world. Learn – to study the world. To understand, accept and embrace that which is honest and genuine. We shall raise the Lithuanian flag in the capital or large city of each country we visit and meet the people of the land. Each vehicle of the expedition shall fly its flag: the Lithuanian flag, the historic Vytis flag, the banner of the expedition “Mission Lithuania 100”, and the flag of country which we are in.